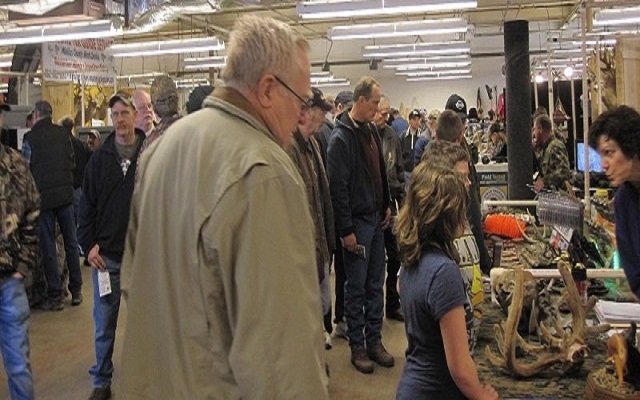 CLEARFIELD – The Central PA Outdoor & Sports Show will return to the Clearfield County Fairgrounds on March 22-24. The three-day event is under the direction of new promoters, Magnum Broadcasting. The show, hosted in the Expo II Building, will feature manufacturers, exhibitors and seminars gauged toward the outdoor enthusiast, plus new personalities and returning favorites like Buckmasters antler scoring. According to organizers, the event is making a welcome return to the area, attracting vendors from multiple states and Canada such as a river guide in upstate New York and a moose and bear outfitter from northwestern Quebec. In addition to the wide range of exhibitors, attendees will have the opportunity to “meet and greet” with National Pro Staffer of Realtree, Tim Andrus. Andrus has been featured on several outdoor related networks such as the Outdoor Channel and the Sportsman Channel. His appearance and DVD resume include Realtree Outdoors, Realtree Road Trips and the Realtree Monster Buck DVD series. He currently hosts two tv shows, Rush Outdoors covering New York, Pennsylvania and southern Ontario and World of Rush on Pursuit TV. Andrus will conduct several seminars throughout the weekend and will be giving away a Covert Scouting Camera during each session. Other seminars include experts on food plotting, predator hunting, waterfowl hunting and outdoor survival skills with two-time Appalachian Trail hike -thru achiever, Scott McKenzie. Another new attraction to visit the show on Saturday is the “Wild World of Animals” with Grant Kemmerer and friends. Direct from Jack Hanna’s Animal Adventures (TV Series 1993-2008) and as seen on the Tonight Show with Jimmy Fallon, Kelly & Ryan, Late Night with Seth Myers, Good Morning America, Animal Planet and others, this animal line-up is sure to bring excitement to the entire family. The show will feature approximately 13 different animals ranging from reptiles, birds and mammals. There will also be food vendors, chain saw carving and more. The show is sponsored this year by America’s third-oldest, family-owned brewery, Straub Brewing Co.; the Clearfield County Fair & Park Board; and Visit Clearfield County. It’s also being held in conjunction with the annual sales events at Grice Gun Shop, Bob’s Army & Navy and Jim’s Sports Center. Show hours are from 10 a.m. – 7 p.m. Friday; 10 a.m. – 7 p.m. Saturday; and 10 a.m. – 3 p.m. Sunday at the EXPO II Building. Visitors to the event Web site, centralpaoutdoorshow.com, can view exhibitor specials offered throughout the show, register for show prizes, find host hotels and obtain more event information. Attendees are encouraged to visit the site for updates and event schedules. Or they can visit the show’s Facebook event page.